One of the most affluent and rapidly-growing cities in the state, Sugar Land was founded as a sugar plantation in the mid-1800s before being incorporated in 1959 (the name makes more sense now, doesn’t it?). Today, the family-friendly suburb hosts plenty of shops, parks, restaurants, and attractions, including the new Smart Financial Centre, a state-of-the-art performance venue that offers a lineup of national musicians and comedians, family shows, theatrically-staged Broadway productions, and more. That alone is a worth a visit, but here are five additional reasons to bring you to Sugar Land. Note: For the purposes of this list, Sugar Land is defined by the area covered in this map which includes the bordering section of Stafford. 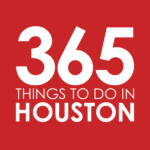 Hang with the dinosaurs at the HMNS at Sugar Land – Right off Highway 59, this offshoot of the Houston Museum of Natural Science at Sugar Land offers science exhibitions that will fascinate all ages. See a 2,000-gallon saltwater aquarium, dig for fossils in a dig pit, get a glimpse at T-Rex and the awesome 10-foot wide animated globe that sits above him, marvel at images from the Hubble Telescope, and immerse yourself into new worlds as you catch fun and educational shows at the Digital Dome Theater. Click here for directions. Get out in the sun and hit the parks – Hit the bike trail and BMX track at Lost Creek Park, play softball and see the third largest pecan tree in Texas at Duhacsek Park, play a nine-course disc golf course at Imperial Park, hike the Oyster Creek Trail and start a pickup game of soccer at Lost Creek Park, show off your skills at the Sugar Land Skate Park, take a spin in the batting cages at First Colony Park, or spend a day at the 150-acre first phase of the 420-acre Sugar Land Memorial Park. And for a different type of park action, hit Constellation Field – the ballpark plays home to the Sugar Land Skeeters professional baseball team. Shop, Dine, & Play at Sugar Land Town Square – Sugar Land’s premier entertainment district has no shortage of fun. Start by strolling the square and popping into boutiques, upscale retail shops, and salons and spas. When you work up an appetite, go for grass-fed Akaushi burgers and sweet and savory crepes at Guru Burgers & Crepes, stone-baked pizza and Belgian-style waffles at Jupiter Pizza & Waffles Co., slurp ramen at Agu Ramen, dine on hummus and Turkish shish kebab at Turquoise Grill, or a taste of New Orleans at The Rouxpour. Of course, you’ll be thirsty, too. Embark on a bar crawl as you hit up Baker Street Pub & Grill, Flying Saucer Draught Emporium, and Bar Louie. Then finish the night with a cocktail and chocolate lava cake at The Middle Spoon. 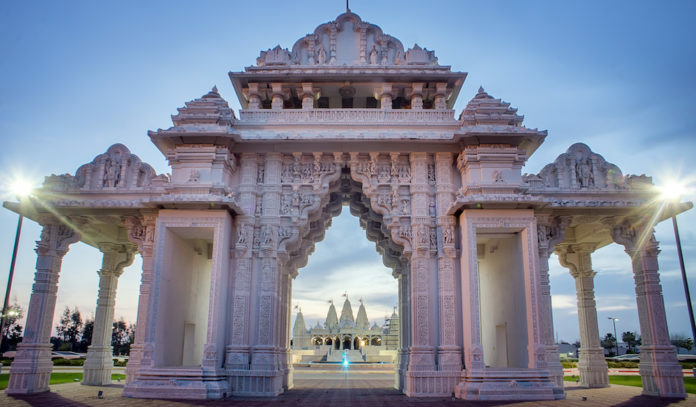 Take in the beauty of the BAPS Shri Swaminarayan Mandir – Right on the edge of Sugar Land and Stafford lies one of the most beautiful man-made wonders in Houston. The majestic Hindu temple was assembled using 33,000 pieces of hand-carved marble and Turkish limestone that were fitted together like a giant 3D jigsaw puzzle. What really makes the temple special is that it was assembled with the help of volunteers in the spirit of seva, or selfless volunteering. Inside, you’ll find a radiant tapestry of art, from Italian marble works to paintings depicting sacred images. Click here for directions. 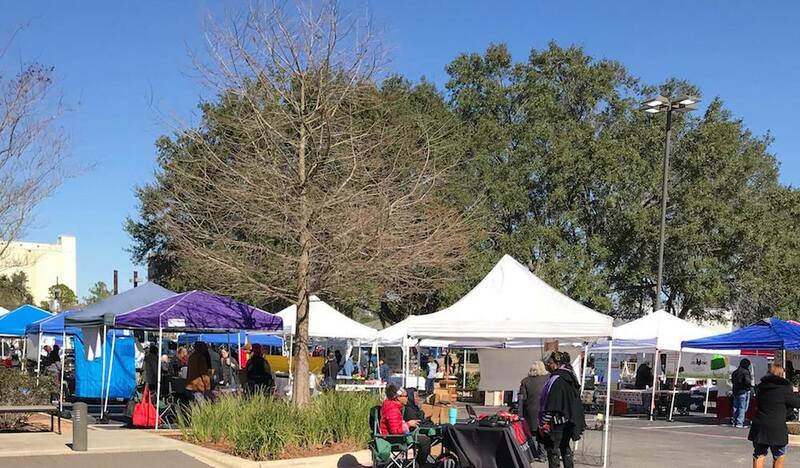 Hit the Farmers Market at Imperial – Every Saturday from 9am to 1pm, this rain-or-shine farmers market pops up at Imperial Sugar Land. Spend your morning or early afternoon perusing fresh produce, locally-raised meats and artisan goods – including everything from an array of earthy mushrooms and fantastic locally-roasted coffee beans to handcrafted jewelry and small batch jams. You can do so as you listen to live music from local artists and get grub from a rotating lineup of the city’s hottest food trucks. Click here for directions.